Cost-effective gas flow metering for targeted applications. 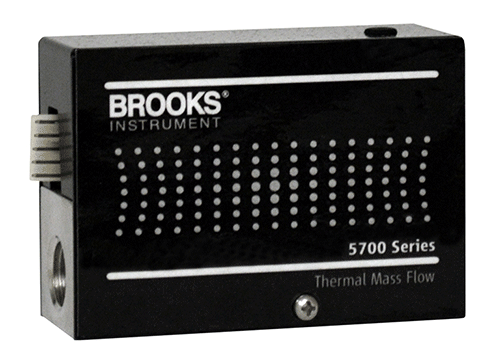 When you need a compact, economical mass flow meter that delivers long-term, stable flow measurement without requiring temperature or pressure correction, the 5700 Series thermal mass flow meter meets your requirements. It’s engineered specifically for the needs of purge gas, process analysis and analytical flow measurement: cost-effective and stable, with an electrical output signal that makes it ideal for replacing turbine meters, variable area flow meters and other volumetric devices.